“Last year on Christmas eve I had a pipe burst in my basement and the guys from flood fire pro were very good about coming straight out to my condominium with in an hour or less immediately cleaning and drying up the water damage with being very careful and diligent. I could not have asked for a more well done job from a friendlier group of people on such short notice. I recommend the flood fire pro company for all your restoration needs.” – David M.
Flood Fire Pro is a locally owned and operated family business, which was established in 1982 by Ed Short. Today Flood Fire Pro is still an independent company run by Ed and Matt Short. 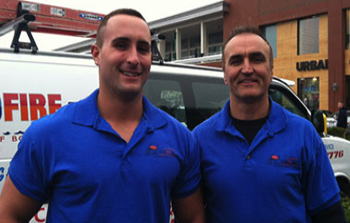 Over the past 30 years, we’ve become one of the most respected independent restoration companies in Randolph. Our passion for our customer service is shown in our friendly, professional staff, and our state-of-the-art service equipment. We are dedicated only to the best practices available in our industry which all starts with treating our customers right. We are fully licensed and insured and we provide continuing education and training for our members. Flood Fire Pro Inc. will keep your home from sinking under water damage and flood problems. 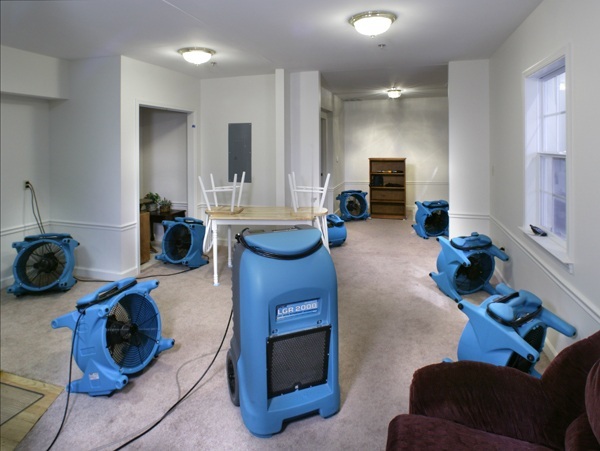 We tackle any kind of Randolph water damage from leaks, firefighters’ hoses, or floods. Our technicians are available 24 hours and trained to address the sewage damage and mold growth that often accompany flooding. All of our technicians are IICRC certified and uphold our high standards of customer service. 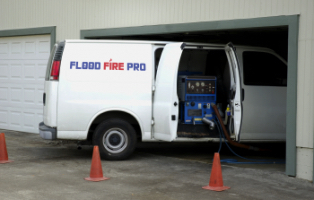 When you need water cleanup or water damage repair in the Randolph MA area, Flood Fire Pro should be your first choice. Over the past 30 years, we’ve become one of the most respected independent water damage restoration companies in Randolph. Our passion for our customer service is shown in our friendly, professional staff, and our state-of-the-art service equipment. We are dedicated only to the best practices available in our industry which all starts with treating our customers right. We are fully licensed and insured and we provide continuing education and training for our members. 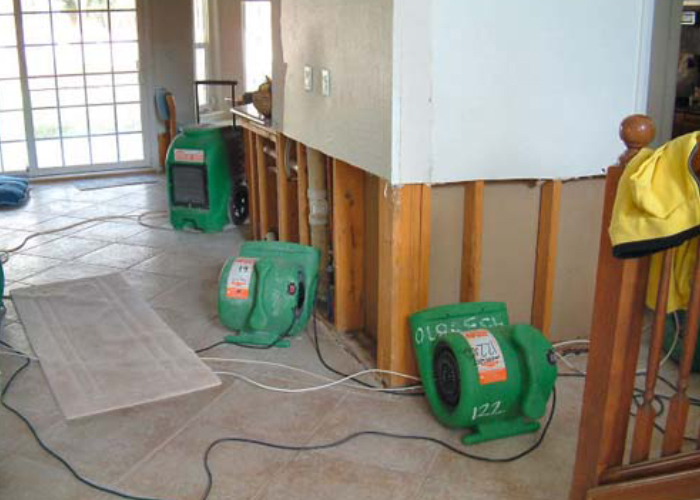 When you have flood damage, give us a call – we handle everything from water removal to water damage repair. We understand the stress and frustration caused by unexpected water in your home or business. We are here to help you get back to pre-damage conditions quickly and easily, with as little hassle as possible. Time is critical when water has entered your home. Whether it is a broken leaky pipe, a toilet or sink overflow, a slab leak, refrigerator, dishwasher or washing machine, or flooded attic or crawlspace due to storms, we will find the source, stop the flooding, provide full water removal and structural drying, and then full water restoration and rebuild. Category 1: CLEAN WATER – Clean water from a source that does not pose a substantial harm to humans. Category 2: GRAY WATER – Damage untreated for more than 48 hours. Category 3: BLACK WATER – Seawater, toilet back flows from beyond the toilet trap, ground water from rivers or streams. We have over 30 years of experience in water cleanup, flood damage repair, restoration and remediation. Best part is we bill your insurance company, not you, on all qualified insurance jobs. This means you won’t have to worry about dealing with adjusters or insurance providers. If the source is evident and safely accessible, shut off the main valve or close the window or door from which water is getting into the property. Remove all valuables that can be damaged. Remove furniture from affected area. Move as much off the wet carpet or floor as possible. Leave wet fabrics in place; dry as soon as possible. Hang furs and leather goods to dry separately at room temperature. Leave books, magazines, or other colored items on wet carpet or hardwood floors. Use your household vacuum to remove water. Use TVs or other appliances while standing on wet carpet or floors, especially not on wet concrete floors. Turn on ceiling fixtures if ceiling is wet. Keep out of rooms where ceilings are sagging from retained water. A frozen, broken or leaky pipe can be devastating for your home or business. Pipes that lack proper insulation and are exposed to the winter’s cold are far more likely to create a need for water damage Randolph MA cleanup. Homes that are left vacant with poorly insulated walls can be a common culprit of frozen water pipes and frozen water lines in the winter time. Sprinkler line pipe burst are a common cause to basement flooding. Often, a broken, burst pipe on a sprinkler line will go unnoticed until water comes rushing through your basement window well or through the walls. If you discover a burst or frozen pipe, give us a call as soon as possible. Putting off these repairs can be extremely costly as water damage can lead to an unstable structure. If you need water cleanup in Randolph, give us a call immediately at (800) 446-3776. Providing water damage services throughout Randolph MA including 02368. Randolph was formerly the home of several large shoe companies. Many popular styles were made exclusively in Randolph, including the “Randies”. At the time of Randolph’s incorporation in 1793, local farmers were making shoes and boots to augment household incomes from subsistence farming. In the next half century, this sideline had become the town’s major industry, attracting workers from across New England, Canada and Ireland and later from Italy and Eastern Europe, each adding to the quality of life in the town. By 1850, Randolph had become one of the nation’s leading boot producers, shipping boots as far away as California and Australia. Randolph is home to three Nationally Registered Historic Places: Jonathan Belcher House, Ponkapoag Camp of Appalachian Mountain Club and Gills Farm Archaeological District. 24 / 7 Emergency Service. 30 Minute Response!